Meet the 2017 Polish Pavilion. The Polish Pavilion is a classic can’t-miss pavilion for this festival. The dancers are so well-rehearsed and accustomed to performance that you’re getting incredible quality in each show! Did you know that there’s a Polish Museum in Winnipeg? 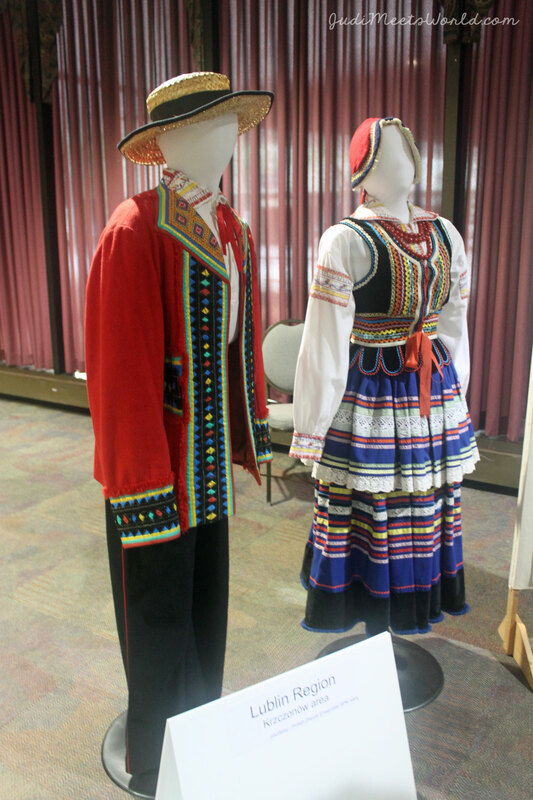 They have graciously brought in some beautiful, traditional Polish costumes from a variety of regions of Poland. They also described the traditional types of dances, some that you can expect to see in the show you’re about to watch. Volunteers from the museum are also on-hand to answer your questions about the museum, the exhibit, or Polish culture and traditions. Step inside to their market area and souvenirs and you’ll also be able to purchase a colourful shawl that you will also see incorporated into their dances and costumes. Don’t miss all the art that is lined along the walls! Ooooh, don’t you even think about coming in and not trying their Polska Kielbasa (Polish sausage) and Golonka (Pork Hock). I generally don’t eat red meat but I could see how delighted others were with their meals (lol). If you’re a vegetarian like myself, their featured dessert is Nalesnik which is a cheese-filled crepe! Wash it down with a Polish beer or their sobieski vodka or cherry liquor. In the mood for little treats and snacks? These can be purchased at the souvenir area as well. This is one impressive dance troupe! 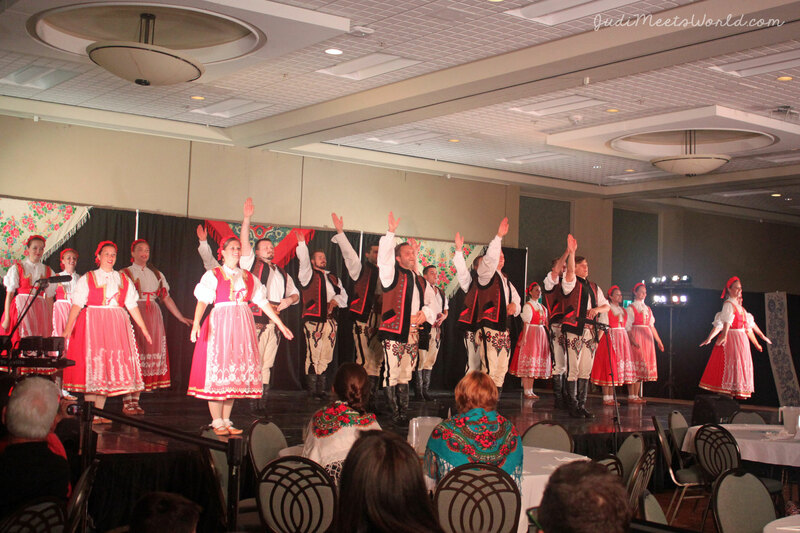 The MainStage performers are S. P. K. Iskry who had recently attended a festival in Poland that invites Polish dance groups from all over the world! One of their pieces was actually chosen to be performed in the finale of the festival – so you know you can expect a top-notch show! The children leg of the group did a performance that incorporated games and storytelling with traditional song and dance – super adorable! Keep your eyes peeled to see all their footwork, turns and lifts done in unison, at the same angle. There were moments that I honestly forgot to take photos because I was pretty enthralled by this performance that takes us to various regions of Poland as well as a finale that pays homage to the gypsy culture. Definitely a must-see! Who doesn’t love prizes? They get you on their social media to answer a trivia question (no, I’m not telling you the answer), and then explain the answer after the prize has been claimed. 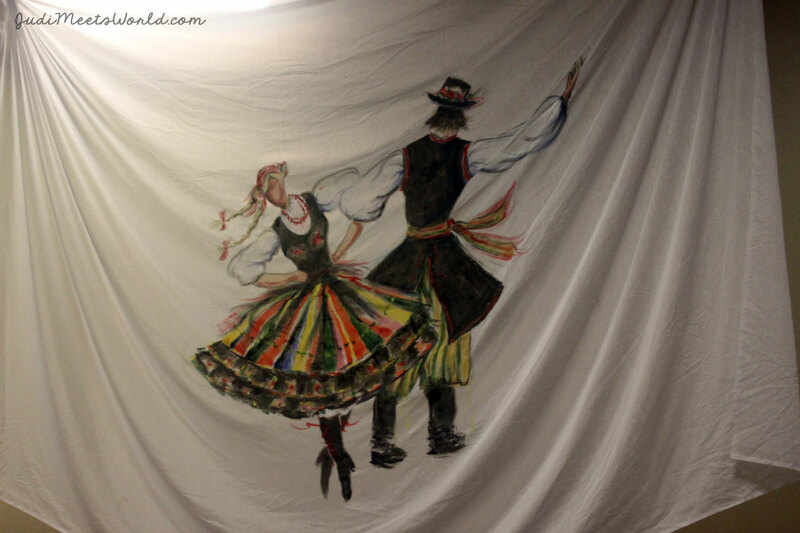 Congratulations once again to the Polish Pavilion for their success at the international dance festival in Poland! Did you get a chance to see the show? What was your highlight? Connect with me and let me know!